Phillips, London, 16 July 1980, lot 218. Christie's, London, 14 October 1992, lot 72. G. C. Williamson/H. 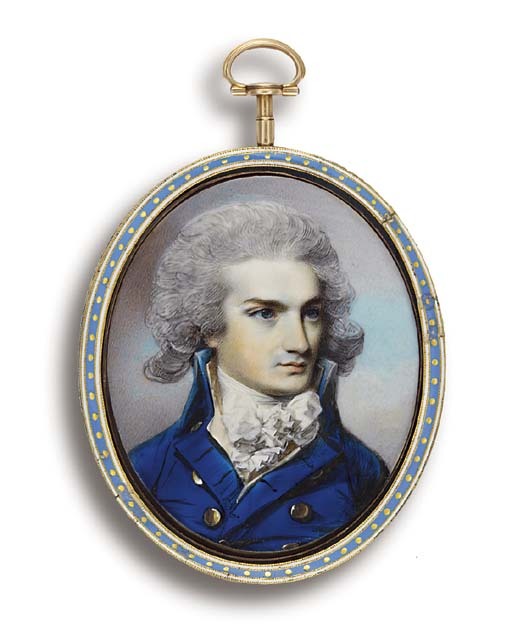 L. D. Engleheart, George Engleheart 1750-1829 Miniature Painter to George III, London, 1902, Appendix I, p. 98. Robert Gibbons (d. 1805), 3rd son of Sir John Gibbons and Martha, daughter of Rev. Dr. Scawen Kenwick, was a member of the Council of the Island of Barbados; he married Margaret, daughter of P. Crookenden of Barbados. Williamson/Englehart (loc. cit.) record that Mr Gibbons sat to Engleheart in 1789 and also records a Lady Gibbons painted in 1784 and a Miss Gibbons painted in 1807.